April Fools’ Day, or All Fools’ Day, as it was originally called, is observed throughout the Western world and is generally celebrated by playing pranks on people, sending someone on a ‘fool’s errand’, looking for things that don’t exist or getting them to believe ridiculous things. It has been celebrated for several centuries, although its origins still remain a mystery. Some historians have linked April Fools’ Day to ancient festivals such as that of Hilaria in Rome, when people would dress up in disguises. It is also thought that the day could have been part of the celebrations of the spring/vernal equinox in the Northern Hemisphere. The reasoning here is that this was a time of the year when Mother Nature fooled people with the unpredictable and variable weather – something she continues to do in this part of the world! Then there are historians who believe the custom originated in France in 1582, when the the old, Julian Calendar was replaced by the Gregorian Calendar, as ordered by Pope Gregory XIII. The new calendar involved a shift of the date of New Year’s Day from the end of March to January 1st. People who continued to observe the former, end of March date, were labelled as ‘fools’ and as such, had jokes and hoaxes played on them. One of these hoaxes involved ‘fools’ having paper fish stuck on their backs and being labelled poisson d’ avril (April Fish). The title is said to be the symbol of a young, easily caught fish – and a gullible person. The tradition continues today in France, as well as other French-speaking areas, including Belgium, the Netherlands, Italy, Switzerland and Canada. Unfortunately there are problems with the theory that April Fools’ Day started at the time of the change in calendars, the first being that there is no definite historical evidence for it, only conjecture – which seems to have been made relatively recently. Another problem lies in the fact that it doesn’t fit in with the spread of April Fools’ Day in other countries. In England, the Gregorian Calendar wasn’t adopted until 1752, but April Fools’ Day was already well established here by then. …and a tradition called Kalknacht (Lime Night) in which people use lime chalk to write slogans and draw pictures on windows. 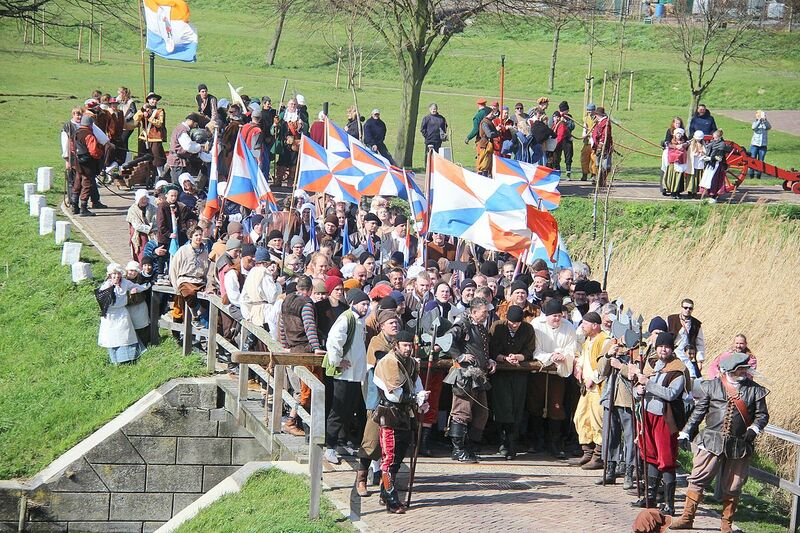 Kalknacht stems from the actions of locals who painted chalk on the doors of those who were loyal to the Spanish. Unfortunately, as with the French theory, this story gives no explanation for the celebration of April Fool’s Day in countries elsewhere either. During the 18th century, April Fools’ Day spread throughout Britain. In Scotland it became known as Huntingowk Day, the celebrations lasting for two days. Gowk is a Scottish word meaning cuckoo, or foolish person. The first day started with running the cuckoo. The prank involved asking someone to deliver a sealed message, supposedly asking for some kind of help. In reality, the message read Dinna laugh, dinna smile. Hunt the gowk another mile. On reading this, the recipient explains he can only help if he contacts another person, and sends the ‘victim’ on with an identical message. And so it continues. April Fools’ Day jokes and pranks are played on people in many countries today, but I don’t intend to do them all! So I’ll just outline a little about the day in the UK and allow everyone else to have a think about how the day is celebrated (if at all) where you live. Here in the UK, the earliest association between April 1, pranks and general foolishness, can be found in Chaucer’s Canterbury Tales, written in 1392. Over the years, jokers, jesters and jokesters have become the images associated with April Fools’ Day. In modern times, people have gone to extremes to create really elaborate hoaxes (and not just in the UK). Newspapers and the media in general have all taken part in a variety of these. Perhaps the most well-known and outrageous hoax ever pulled in the UK was in 1957 on BBC TV (in the days when all British newsreaders and presenters spoke with a very ‘posh’ accent – which became known as a BBC accent). This film was shown on Panorama, a current affairs series which was, on this occasion, supposedly showing Swiss farmers picking freshly grown spaghetti. The programme was called the Swiss Spaghetti Harvest. Following the programme the BBC was inundated with requests as to where spaghetti plants could be bought! 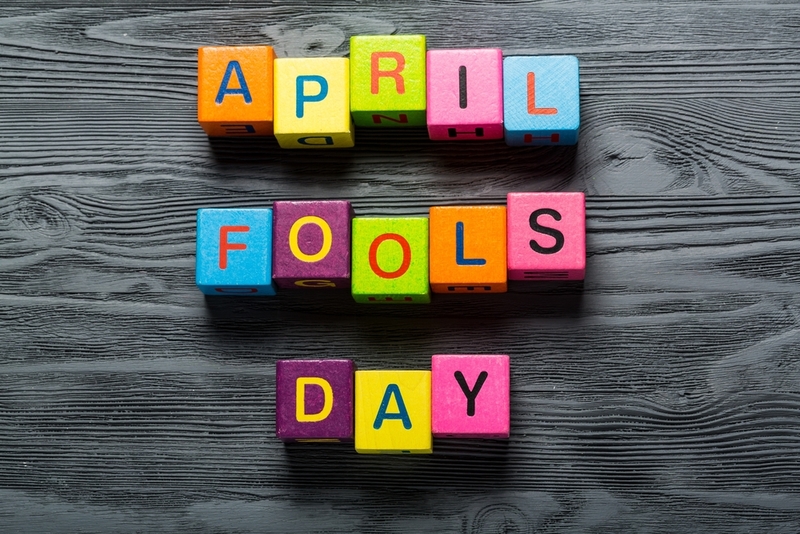 Despite being very popular since the mid-nineteenth century, April Fool’s Day is not a public holiday in the UK. And in the UK and countries whose traditions derive from the UK, the pranks and hoaxes cease at midday. After that time the person attempting to make an April Fool of someone becomes the April Fool him/herself. Today, there are mixed opinions regarding the practice of April Fool pranks. Some people see them – especially the ones orchestrated by the media – as a terrible duping of the public. April Fools’ Day hoaxes are seen as manipulative, creepy, deceitful and altogether nasty. The adverse effect of the media hoaxes is that “When genuine news is published on April Fools’Day, it is occasionally misinterpreted as a joke”. Others see the day as being good for the health in that it brings the benefits of laughter, which include stress relief and the reduction of stain on the heart. And on that positive note, I’ll finish off. …But given the subject matter how can I trust anything you just said? 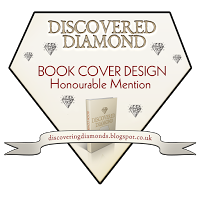 lovely compilation , many of which i have never heard of before so thank you MillieThom for taking the time and effort to put it together. Thank you, Gina. There are so many different ways of celebrating April Fools’ Day around the world, that I only found out about while researching for this post. Some of the many pranks people pull are funny, whereas others can verge on the nasty side. It’s nice to think it’s all in the name of fun. I do think it should be in fun but sometimes people do get carried away I agree, still it was an interesting to read to know the lengths people will go for fun! Laughter is really good medicine, perhaps sometimes you need a reason to make jokes, that’s why we have !st of April. It was interesting to know the traces of this holiday. 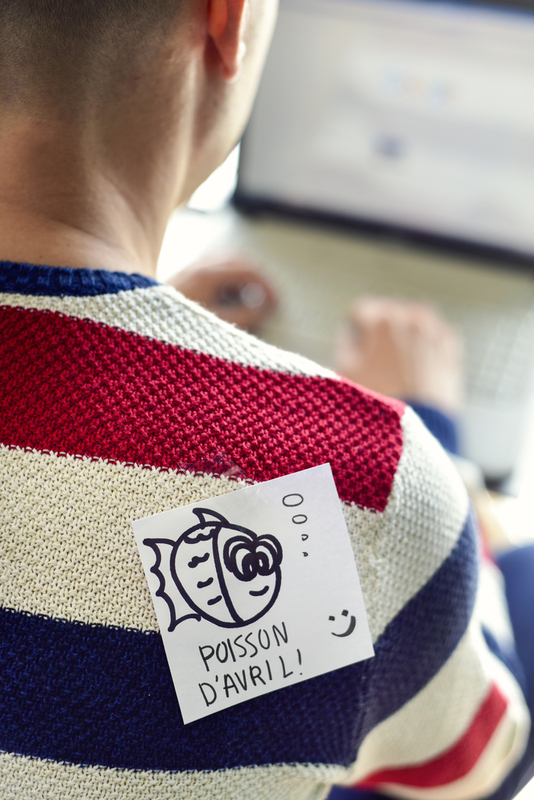 I had never heard of the poisson d’Avril, how funny — I learn something new every time I read your blog, Millie! I am not crazy about pranks because so often they seem mean to me, to poke fun and laugh at the gullible I guess I think that because I’m pretty gullible and trusting. But jokes like the spaghetti harvest are funny. These days we have so much fake news anyway, along with deliberately funny fake news, like The Onion, that any impact of fake news pranks on April 1 must be infinitesimal. I haven’t heard about The Onion, so I’ll have to look that up! I agree, some jokes and hoaxes are very funny, but I don’t like anything that verges on being downright malicious or mean. Like you, I’m pretty gullible, too, and some people can keep a very straight face when they’re ‘pulling a fast one’. I’m more than likely to be the one with a paper fish stuck on my back. Bringing those two issues together, when I first encountered The Onion — back when it was in print, before the internet — I didn’t realize it was supposed to be fake. So my friends got me all riled up about the stupid article so they could laugh at me before revealing that “of course everyone knows” that it’s a joke. Yeah, nice friends. But now that I know The Onion is a joke, it’s usually pretty funny (not always, but then, humor is hard). And yes, it is impossible to tell what documentaries to believe these days. The things they show on my streaming service that purport to give historical information about Egypt or Rome etc. are half the time totally made up or crackpot theories. But they have nice graphics and an impressive sounding narrator, so I’m sure 90% of the people watching just buy it. 🙂 You always do a good job with the research and facts. I have learnt so much from you Millie. I love the historical information I find in your posts. This one is no exception. Thank you. Thank you, Christy, and apologies for this late reply. Family issues kept me off my blog for a month. I only got back to it last weekend and am now trying hard to catch up a little but failing miserably. I feel exactly the same about playing pranks on people as you do. It isn’t me, either. 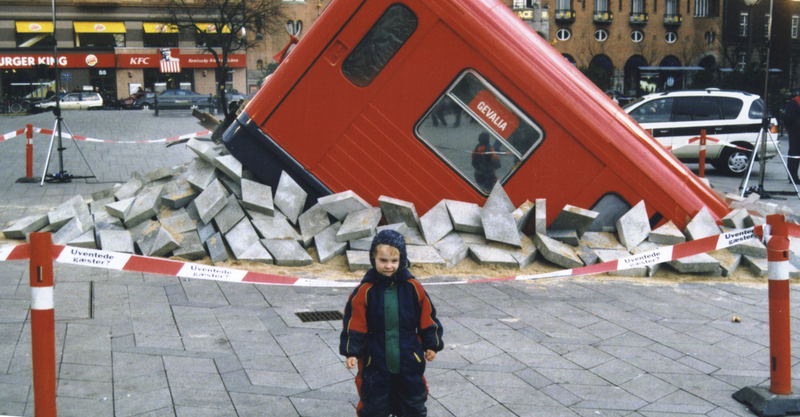 I didn’t even like April Fools’ Day when I was a child. I love the subway car and have never seen an April Fool’s joke like that. I hadn’t heard the correlation with Mother Nature fooling us before but that makes sense. Happy Spring! what a wonderful history!! Thanks Millie ( I’m running late as usual!!) My daughter is a great prankster, one early morning calling me up to ask if I would come and bail her out of jail for unruly behaviour the night before. lol. You have been quiet for a while, Millie; at least it seems that way from checking your blog.You must be busy. I hope it is your book that is keeping you from blogging. 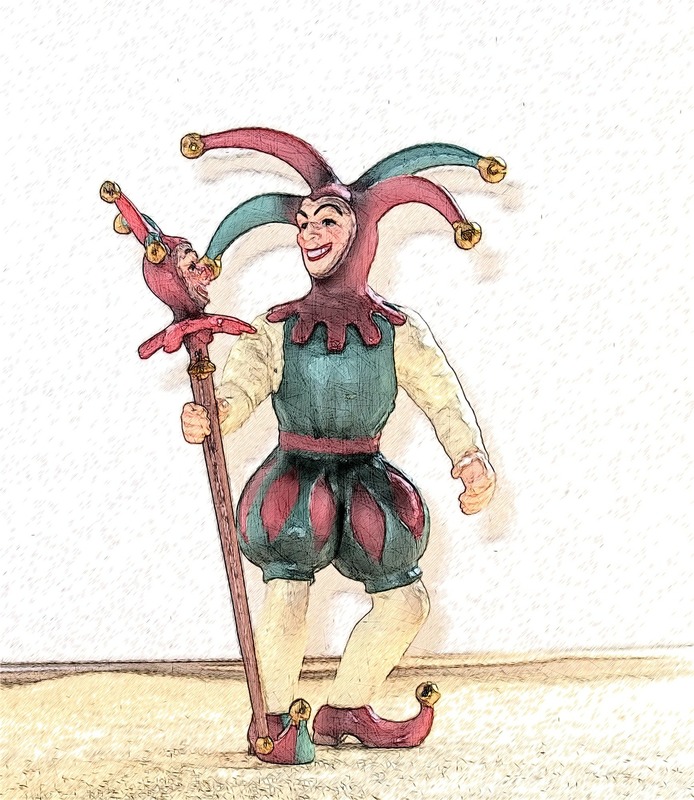 Great post about the history of April Fool’s – and the reasons why was news to me. I had seen the photo of the Subway tram in Radhuspladsen in Denmark. Awesome piece of street art!!! Hope things are okay with you and yours.